Alaska, nicknamed “The Last Frontier” is home to a vast array of natural beauty and unique wonders. Spread over a wide expanse of land, Alaska boasts a diverse landscape of majestic mountains and desolate tundra, glacial plains and verdant woodlands. The variety in its regions makes Alaska home to a wide range of wildlife. Many unique species of bears, eagles and whales can be found in the state. The enormous landmass is filled with unlimited opportunities for wild adventure and outdoor recreation. Denali National Park– Home to North America’s tallest peak, Denali is a great place to take in the awesome beauty of God’s creation. Various Chapels and Cathedrals- Alaska is home to numerous historic places of worship such as St Michael’s Cathedral in Sitka, Alaska, St. Nicholas Chapel in Kenai and St. Herman’s Chapel in Kodiak Island. Northern Lights- The region of Alaska above the Arctic Circle is the prime place to view the natural light show of Aurora Borealis. Whale Watching- There are plenty of tours available in Juneau, Ketchikan, and Skagway in order to catch a glimpse of some magnificent humpback whales. Alaska is a diverse state both in topography and climate making it a great place for youth camps and adult retreats. The mountains of pristine snow make it attractive to those seeking out winter outdoor adventures. The milder summer months make it a wonderful choice for hiking, fishing and camping. 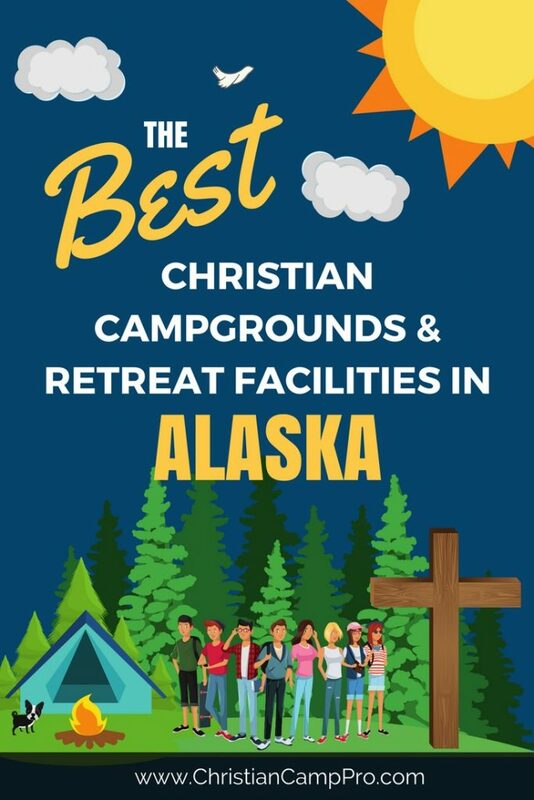 Visit our Christian Camp and Retreat Directory to learn more about listing your Christian facility.